A valid question is how much better is today's equipment in comparison to equipment from a few years ago? The average distance on the PGA Tour has changed very little from 2004 until now. The longest average was 2011 and the shortest average was 2013 with just 3.7 yards between the longest and shortest. When I ask people what do they think the difference in this average might be the answers tend to be in the 20-30 yard mark. Is marketing leading to these answers? Equipment companies are always promising more distance e.g. 17 more yards and release new drivers every year or every second year. The PGA Tour driving distances suggest that drivers haven't improved noticeably in 13 years. Let's check this out. I used a Titleist 905S for a number of years. 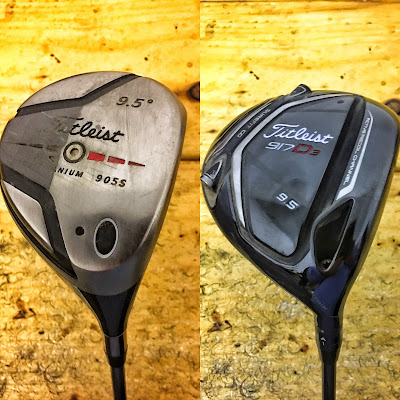 It was launched in 2004 and I used it until 2008 when I changed to a Titleist 909D3. I am now currently playing with a Titleist 917D3 launched in 2016. How much different is the 917D3 in comparison to the 905S? On Sunday April 2nd I compared both using a Trackman Launch Monitor. I hit 18 drives with each club. Alternating from one to the other after 3 shots so not to get used to swinging just the one driver. The ball was teed at the same height for both drivers. The ball that was used was the Titleist Pro V1. It was a nice April's day, temperatures around 12 degrees Celsius and a slight breeze (around 5mph). The main performance numbers that we looked are were club head speed, ball speed, carry, total distance, accuracy, launch angle and spin rates. Ultimately the main one to be interested in ball speed, as this is the ultimate decider in distance. Launch and spin can be manipulated through fitting to give optimal flights so the longest driver should be the result of the highest ball speed. Very little between the clubs with the 917 giving 1 yard more carry and 2.1 yards more overall distance as well as being slightly more accurate, 7.36 feet closer to the target on average. The 917 did perform better but not by a significant amount. An amount that wouldn't change golf scores by much. The 917 did have a little more club head speed which could be attributed to the 1 inch longer shaft. But the ball speed from the 917 should be more then 1.1 mph faster due to the 1.9 mph club head difference and the 1 inch longer shaft might be leading to a bigger discrepancy in strike and as a result a lower then expected ball speed. Also the shorter shaft in the 905S should lead to more accuracy but not in this case, possibly due to the stiffer shaft. Like the 2013 test there wasn't a great difference between the two drivers. It could be suggested that as there is a limit on the COR (coefficient of restitution) or springlike effect on drivers that most clubs manufactured since the limit was introduced are near this limit and are very similar in performance. If you have a driver that fits your game well, gives you a centered strike along with optimal launch conditions it's very unlikely that there's a new driver out there that will give you significantly more distance. But if you don't have a driver that fits your game gains of 15-25 yards are fairly common. I would recommend you spend time finding a driver that fits your game and you feel comfortable with. This doesn't have to be the latest model, in fact any model from the last number of years could work exceptionally well. As second hand drivers are great value this means you don't have to spend a fortune on a new driver to get more distance, spend the money on getting good advice, this will save you in the long term. What was avg smash factor? Wonder how they compare if smash was very good or very poor with both. True. But you're also getting that result from "avg club head speed" and "avg ball speed" without knowledge of individual shots, or relevant outliers. You are likely correct that the smash is quite comparable between the two drivers, but it would be good to see a bit more data as a comparison tool in the study. Though I'm surprised at how close the performance is in general. When I make comparisons like these I would eliminate any outliers from the data. The smash factor difference is better explained in terms of quality of strike. And, as Padraig notes, this might well be attributable to the difference in club length. In 2012 I did a study and found a similar result. In fact, the loss of smash factor was even more dramatic with a three-inch length difference. 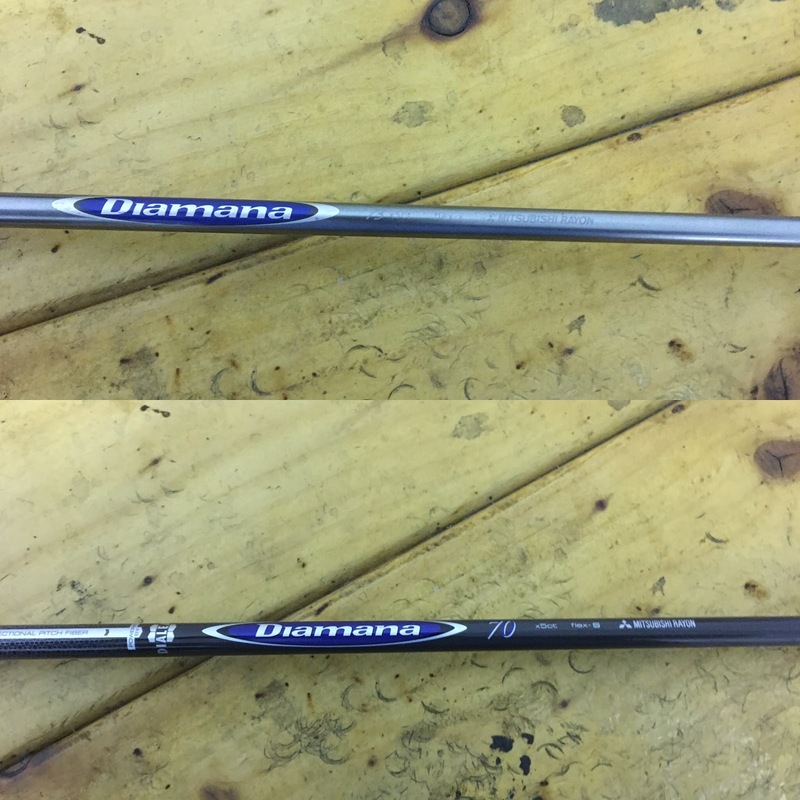 See http://tutelman.com/golf/clubs/headweight3.php#experience and also click on note 11. Is that lead tape on the 905s to bring the SW up? Looks like epoxy putty, was just asking as might epoxy putty mine but not sure if it would work. It's lead tape on the 905 to increase the swingweight.